Law firm in Hanoi with best legal services would like to support local and foreign Clients. 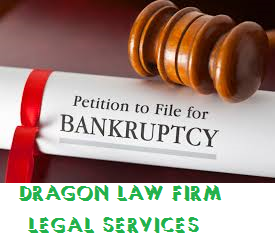 Dragon Law, legal office in Vietnam, provides some provisions on bankruptcy process relating ti foreign companies in Vietnam. Any foreigner involved in the bankruptcy process must comply with the regulations of the Law on Bankruptcy of Vietnam. 1. The People’s Court shall implement the judicial delegation according to the judicial assistance treaty to which the Socialist Republic of Vietnam is a State Party or the principle of reciprocity during any bankruptcy settlement involving foreign entities. 2. The procedures for the judicial delegation must comply with the regulations of the law on civil procedure and the law on judicial assistance. The recognition and authorization to implement the Decisions on bankruptcy settlement must comply with the regulations on the judicial assistance treaty to which the Socialist Republic of Vietnam is a State Party and other regulations of the law on judicial assistance. Any questions about foreign investment companies in Vietnam, please feel free contact to legal firm in Hanoi, Dragon Law, for more support.